There were unknowns piled atop unknowns when I began planning to give up my newspaper sports column and light out for Hollywood. Foremost among them was whether Steven Bochco would answer the letter I sent him. He was TV royalty by then, with Hill Street Blues an Emmy-certified hit and L.A. Law and NYPD Blue yet to spring from his imagination. I knew going in that I would be lucky to get a reply if my target were a second-string go-fer from a public access station. I wrote to Bochco anyway. I wasn’t desperate, but I was in Philadelphia. I’d landed there after Rupert Murdoch big-footed into Chicago and overnight trashed the Sun-Times, the paper I’d worked on for six years. I thought I’d found a safe haven in the legendary sports department at Philly’s Daily News. Instead, I needed only three months to realize how tired I was of truculent athletes, martinet coaches, and a life that consisted primarily of galumphing from airport to hotel to press box over and over again. And so, on the snowy January night in 1985 that I turned forty, I morphed into an aspiring screenwriter. I’d never written so much as FADE IN on a script, but instinct told me that Bochco was my best hope to make the jump. It was something about the flawed heroes, bent cops, and resilient women who populated Hill Street, and something, too, about the untethered professors, newspapermen, and novelists he hired to infuse the show’s scripts with humor, tragedy, and well-observed humanity. If you have any questions, or just want to talk, call me. My office number is XXXXXXXXXX. P.S. You type great. I didn’t spot a single do-over in your letter. Nearly thirty-three years after it landed in my mailbox, scarcely a day goes by that I don’t think, however fleetingly, about that letter and the near-magical things that happened in its wake. But when I heard the news that Steven Bochco had died on Sunday after battling cancer for years, no happy memories could stave off the emptiness that consumed me. The last time we had been in touch was when I sent him a collection of my baseball writing and a note thanking him yet again for—well, for everything. 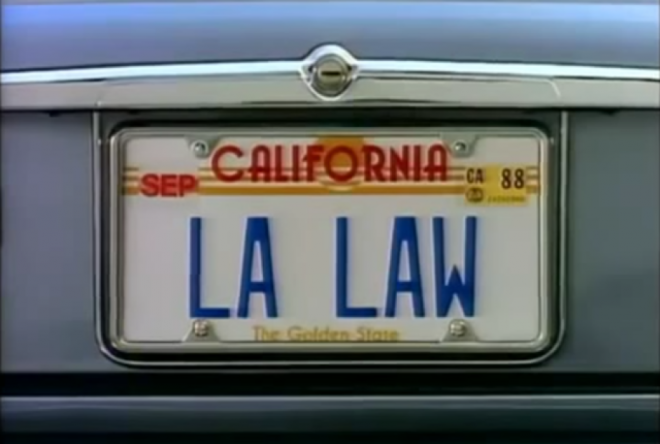 He responded with the same warmth and grace he had exhibited when he was sending me drafts of the L.A. Law pilot script he was writing with his co-creator, Terry Louise Fisher. There had been dinner with him and his wife at a hot new restaurant, too, and a screening of the pilot for me in his office at 20thCentury Fox. And yet it was always easy to call this guy with the new Nikes and the Nerf ball Steven. The hard part—the terrifying part—began when I showed up at the Old Writers Building on the Fox lot on a Monday morning in June 1986 to break the story for the episode I was to write. It was the ninth in the series and came to be called “Gibbon Take,” a play on words inspired by a scene in which one of the show’s male leads dressed in a gorilla costume. But the title seemed as far away as the moon when I sat down with Steven and Terry Fisher and they began kicking around ideas for the episode’s multiple story lines. These were supremely talented, intelligent people, an acknowledged TV genius and a lawyer who had turned to writing for a living, and I was a raw newcomer who knew the bare minimum about screenwriting and absolutely nothing about the practice of law. I froze. Couldn’t speak, could scarcely breathe or make sense of what they were saying. It’s possible I glanced at the door as I considered fleeing the humiliation I was certain awaited me. Then instinct took over. At every stop I’d made in newspapers and magazines, I’d taken notes that I turned into stories and columns. Now it was time to take notes if I wanted to last longer than a day in Hollywood. Sweet Jesus, did I take notes. I may even have written down what Steven and Terry ordered for lunch. Somehow I survived. The next step, Steven explained, was for me to turn my copious notes into a scene-by-scene outline called a beat sheet. Never have I welcomed a chance to work by myself as I did that one. When I came back later in the week with beat sheet in hand, Steven wrapped an arm around my shoulders. We both laughed at that, but his concern seemed genuine. If it was motivated by self-interest, though, I soon learned why. He had just received an un-shootable script—“a sack of wet brownies,” he called it—and it would force him to spend time he didn’t have re-writing it. Surely he was worried that my script would be equally disastrous. To be honest, I was, too. So I offered to write five or six scenes, and if he liked them, I would finish the script, and if he didn’t, my Hollywood adventure would end and we would part as friends. He said yes in a heartbeat. I delivered my scenes to him three days later, polished to as high a gloss as I could manage, and then I waited to learn my fate. I knew it had been determined when I returned from lunch the next afternoon and saw the message light blinking on the phone in the friend’s apartment where I was staying. I hit play and listened to Steven’s voice: “I don’t know what you’re doing hanging out with sports writers, kid. You’re in show business.” The message was cause for elation, and vintage Bochco, too, like something a character in one of his shows might say. I should have saved the tape, of course, but I’m not sure I would hear him any better than I still do, and always will. John Schulian went on to write for such iconic TV series as Miami Vice and Wiseguy before he co-created the international hit Xena: Warrior Princess. He is the author of the novel A Better Goodbye and a winner of the PEN/ESPN Lifetime Achievement Award for Literary Sports Writing.